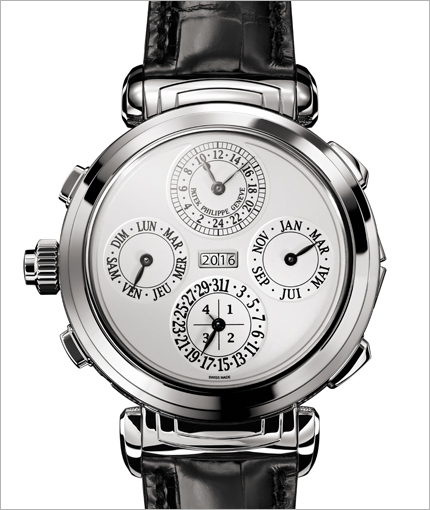 In 2014 Patek Philippe introduced its most complicated timepiece ever, the Grandmaster Chime Ref. 5175. 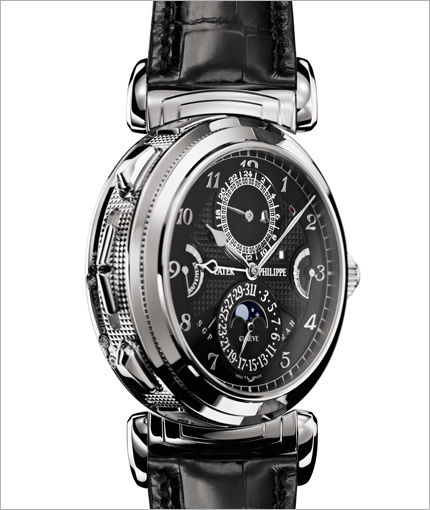 This Patek Philippe Grand Complications Ref. 6300G-001 Grandmaster Chime is its unlimited little brother. The Grandmaster Chime Ref. 5175 (or Ref. 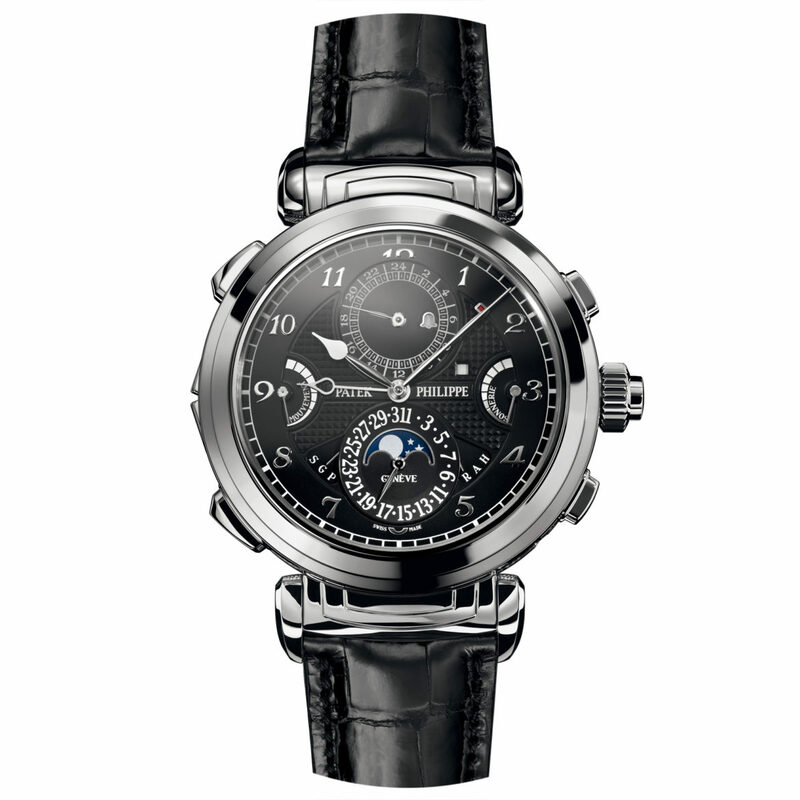 5175R) launched in 2014 for the 175th anniversary of Patek Philippe. Patek made only 7 of the fully engraved time piece with golden case and 20 complications. Six for Patek’s best customers, one for Patek’s museum. Perhaps there was a high demand for this model, as this new Grandmaster Chime is not a limited edition. 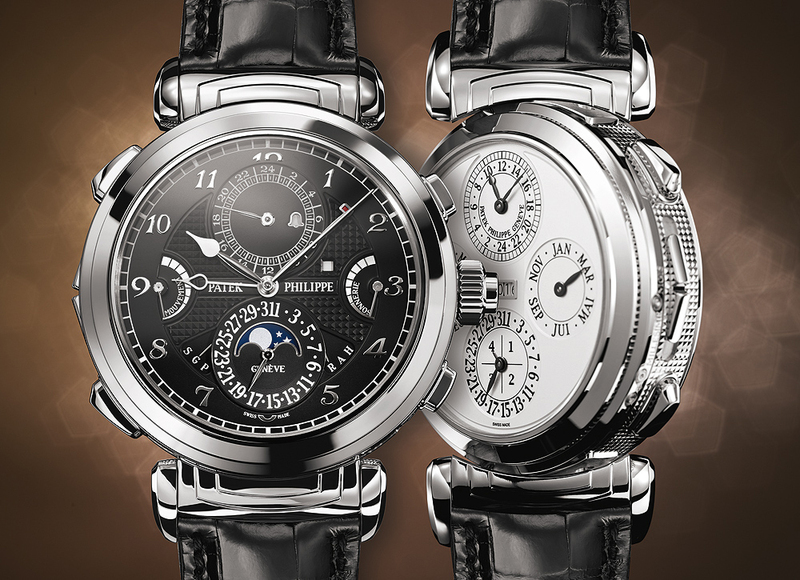 The case of the Patek Philippe Grandmaster Chime Ref. 6300G is made of white gold. It has a diameter of 47.4 millimetres and is reversible, just like the Grandmaster Chime Ref. 5175. The case and dial of the Patek Philippe Grandmaster Chime Ref. 6300 has a distinctly different look than the original. Its case is decorated with a manually guillochéd hobnail motif, on both sides. This pattern is used by Patek since the launch of the Ref. 96D in 1934. The double-faced case features a mechanism between the lugs to rotate between two dials. Furthermore, is has a black opaline “time and sonnerie” dial and a white opaline “calendar” dial. Each devoted to displaying different elements of the watch’s 20 complications. The Ref. 6300G has the same movement as the Ref. 5175. It is Patek Philippe’s caliber 300 GS AL 36-750 QIS FUS IRM (also known as the Patek 300 calibre) and it is made up of 1,366 parts. 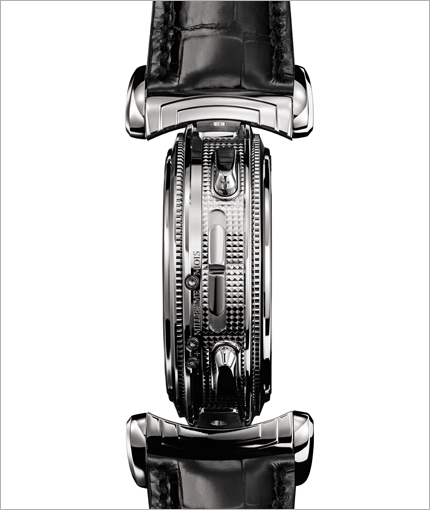 The case itself is composed of 214 parts, meaning that the total number of components in each watch is a stunning 1,580. In addition to the 20 complications the movement boasts six patented technical innovations, including the case reverser system and the alarm mechanism. The complications? A selection: grande Sonnerie, petite Sonnerie and minute repeater, date repeater, movement power-reserve indicator, strikework power-reserve indicator, strikework isolator indicator, second time zone, second time zone day/night indicator, instantaneous perpetual calendar, display of day and month, date display (on both dials), leap year cycle, four-digit year display and moon phases. 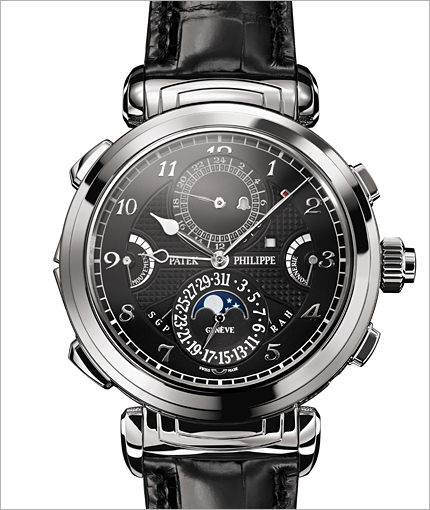 The Patek Philippe Grandmaster Chime Ref. 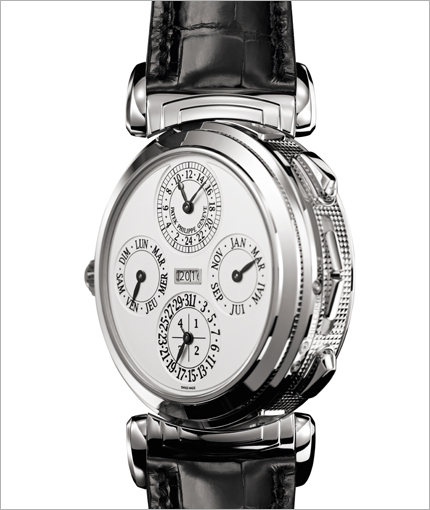 6300G is the most complicated wristwatch in Patek Philippe’s regular collection. It is said that more than 100,000 hours over eight years were devoted to development, production, and assembly the movement. The movement alone requires 60,000 hours to perfect. Perhaps that justifies the price of 2’500’000 Swiss Francs. Which is more or less 2,450,000 US dollars or about 2.244.000 euro’s.